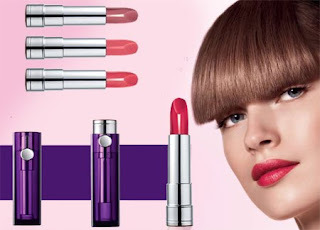 Bourjois Sweet Kiss lipstick is a satin finish lipstick which is pretty long wear. Argan oil and a selection of fine and infinite light oils makes it ultra moisturizing. I got this lipstick mainly for the fabulous purple tube and later found out the lipstick itself is pretty good too. It's satin luminous finish makes it less drying than matte lipsticks. 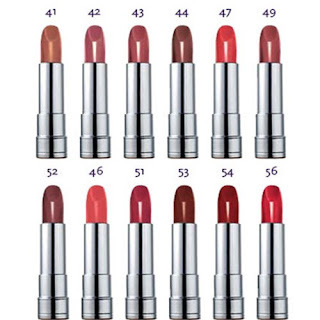 It is available in 12 gorgeous colors. Priced at Rs.650 and available at Kunchal's and Lifestyle stores. @ Cynthia the Fuschia luks Killer On u! I Loved #51 n # 57 both. n Cynthia trust me... i read ol ur bourjois product reviews yesterday..
i was simply goin crazy...readin abt it n even lukin it..